*GM CERTIFIED! * Includes a 12-Month/12,000 mile bumper-to-bumper limited warranty, 6 year/100,000 mile Powertrain limited warranty, scheduled maintenance program, roadside assistance, and OnStar and Sirius XM Satellite Radio trail offers.Boasts 33 Highway MPG and 25 City MPG! This Buick Encore boasts a Turbocharged I4 1.4/83 engine powering this Automatic transmission. TRANSMISSION, 6-SPEED AUTOMATIC, ELECTRONICALLY-CONTROLLED WITH OVERDRIVE includes Driver Shift Control (STD), SUMMIT WHITE (Includes (CM5) Black Carbon Metallic lower exterior accent color, Paint code W700S. ), SEATS, FRONT BUCKET (STD). 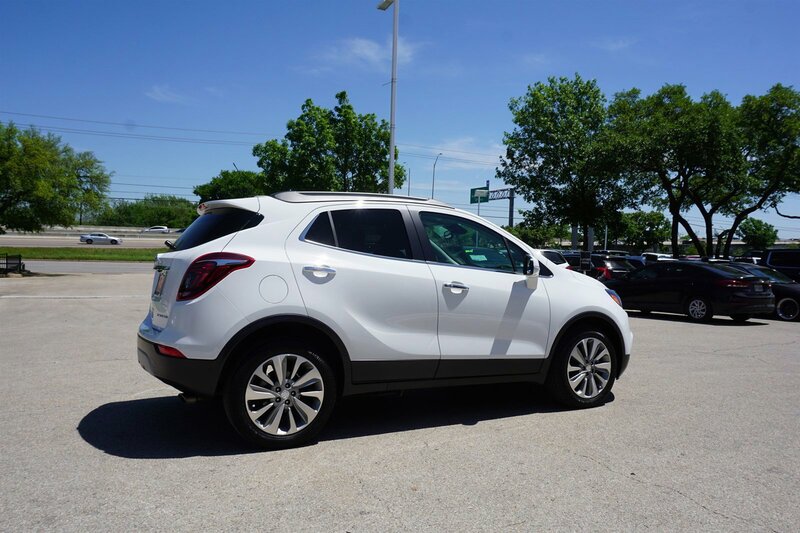 *This Buick Encore Comes Equipped with These Options *PREFERRED EQUIPMENT GROUP Includes Standard Equipment, LICENSE PLATE BRACKET, FRONT, ENGINE, ECOTEC TURBO 1.4L VARIABLE VALVE TIMING DOHC 4-CYLINDER SEQUENTIAL MFI (138 hp [102.9 kW] @ 4900 rpm, 148 lb-ft of torque [199.8 N-m] @ 1850 rpm) (STD), EBONY, CLOTH WITH LEATHERETTE SEAT TRIM, BLACK CARBON METALLIC LOWER EXTERIOR ACCENT COLOR, AUDIO SYSTEM, BUICK INFOTAINMENT SYSTEM, AM/FM STEREO, SIRIUSXM with 8 diagonal Color Touch Screen, includes 2 USB ports, Bluetooth streaming for audio and select phones and Phone Integration for Apple CarPlay and Android Auto capability for compatible phone (STD), Wipers, front intermittent with pulse washers, Wiper, rear intermittent, Windshield, solar absorbing, Windows, power, rear with Express-Down. *Visit Us Today*If you have any questions or would like to schedule a test drive please feel free to contact me, Cory Covert, via email or at 512-583-3411 or visit us at 11750 Research Blvd Austin, TX 78759. Come see why we here at Covert Buick GMC Austin have been in business for 110 years and counting, and providing Texas with a superb selection. and exceptional customer service! Se Habla Espanol.